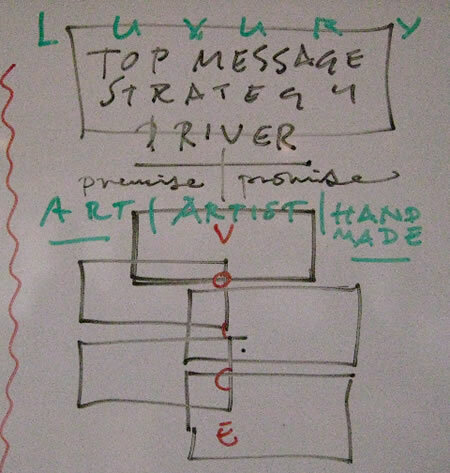 Love, story, brand and the cartography of strategy — drawing it out. I was thinking about search — reaching in(to people) — listening to them, learning from them, and gathering their impressions and ideas. Search for it, listen to them, what does that look like? But more so, to the construct of what they love, what they love doing, and what do they love in offering to others. Love, as a topic, is repetitive and influential for me, my thinking, and Girvin’s work. Recently, I’ve been talking about (and charting, drawing, mapping) love — human love. It’s the connection that humans have with each other, and sometimes, their animals. And sometimes, the love that people have on other horizons — like: objects, states of being, places of power and enchantment. Love, of course, is at the heart of anything human. There is either love, or there is not. 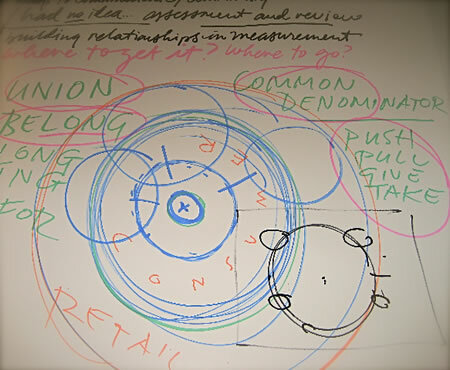 There are a sequence of layers to the relevance of this for the idea of strategic brand management — and when you’re thinking about evolutions, rings of relationships, the cumulus of crowds – what is the mapping of the sequencing of relationships? They ripple outwardly. 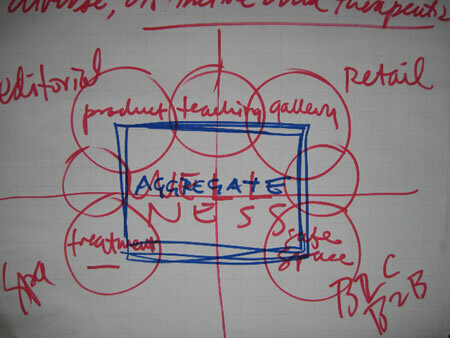 There is the close-in group – the founding team (usually with a human brand icon in the center) that relates to the enchantment of brand invention; and there are the opening members of the community of adopters and early relationships that link to the engagement of brand innovation; and there are the larger emerging and burgeoning communities that tie to the concepts of growing and extending the expectation of the brand. And finally, the thrall: enthrallment. People are spellbound by the drawn interpretation of what they say. It’s magic, it’s translating thoughts to ideas. 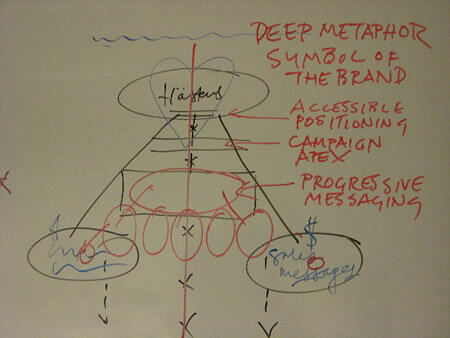 But the idea of looking at drawn modeling, as I am (along with the Girvin team) increasingly wont to do — the metaphor of brand strategy and the deeper allegories of the brand soul (fullness) — it’s really about looking for ways to chart the nodes of experience and relationships. 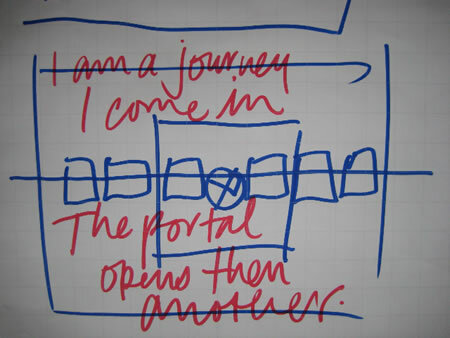 When someone comes in contact with the storytelling of a brand — what happens? How are they touched – or are they? Does the brand live in a certain allegorical way — like the osmotic seething of marine like: coral — growing colonially? Or is it more to the nature of the architecture of the nest — the bees and the honeycombing of stable relationships? A stone in water — rippling outwards? The echoic reflective messaging? The nodal growth of moss, the tendrils of ferns, the space filling expansion of the patterning of leaves. c.1200, spelling alteration of Old English dragan “to drag, to draw, protract” (class VI strong verb; past tense drog, pp. dragen), from Proto Germanic *draganan“carry” (cf. Old Norse draga “to draw,” Old Saxon dragan, Old Frisian draga, Middle Dutch draghen, Old High German tragen, German tragen “to carry, bear”), from ProtoIndoEuropean base *dhragh– (see drag). Sense of “make a line or figure” (by “drawing” a pencil across paper) is c.1200. Meaning “pull out a weapon” is c.1200. To draw a criminal (drag him from a horse to place of execution) is from early 14c. To draw a blank “come up with nothing” (1825) is an allusion to a lottery. As a noun, from 1660s. Colloquial sense of “anything that can draw a crowd” is from 1881 (the verb in this sense is 1580s). I savor the idea of pulling — dragging, drawing from theAs I walk through the modeling of how brand builds relations — even in the vastness of sociality in media — there are flows, movements and forms that are compelling. And in many ways, these mapping techniques lend themselves to the conceptions of natural fractalization. It’s my principle of approach – the Girvin way of thinking about brands, stories, love and humans is that these represent deeper principles of action in the ongoing actualization of the brand. Passionate commitment can be the pinned star at the top of the cluster — that “shine” can flow out, illuminating many details. Working in companies, examining and auditing processes and exploring the notions of brand soul and culture, the ideas move in a way that flows (in one way or another). If, to the contrary, the brand is dead — a ghost brand, that has no soul — then there’s no point in artful articulation. It will vanquish itself. Who would love the dead? 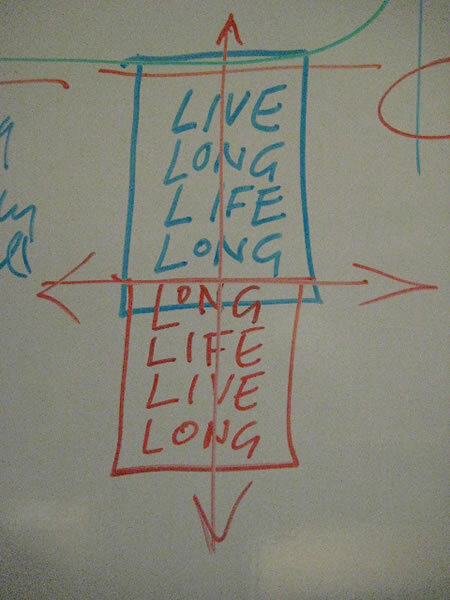 Staggering content and messaging structure: life brands. The rings of union / reunion / relationships and commonality: rippling. 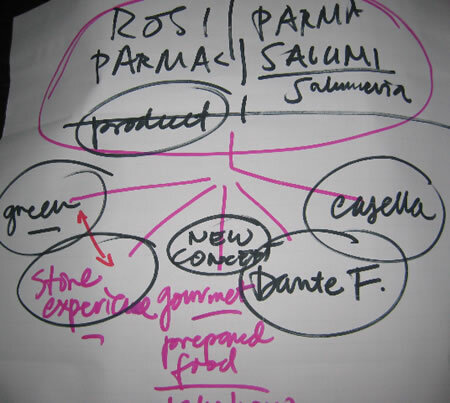 Aggregation of content in floor planning and publishing. Could a store be a magazine? 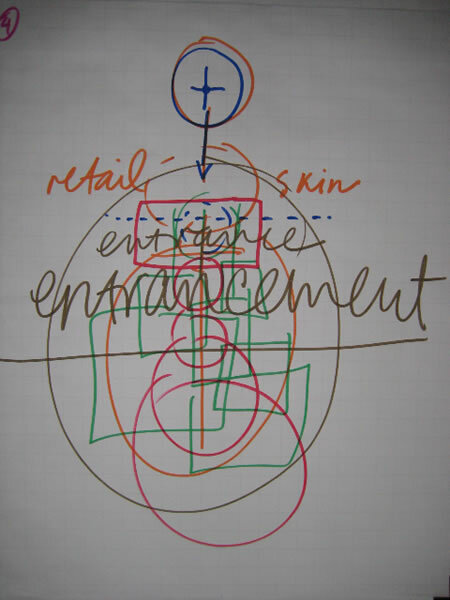 Entrancement — concepts of retail sequencing and brand symbolism. The deep blue: messaging and construct emanating from the heart — flow. The gift boxes of message: one, is another, nested in another, each can be savored — as a gift, they are unpackaged, person by person. 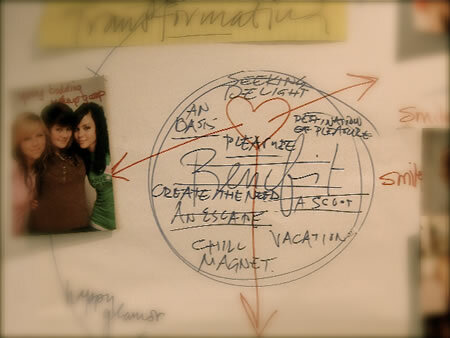 Heart and transformation: delight, pleasure, destination: retail and brand visioning. 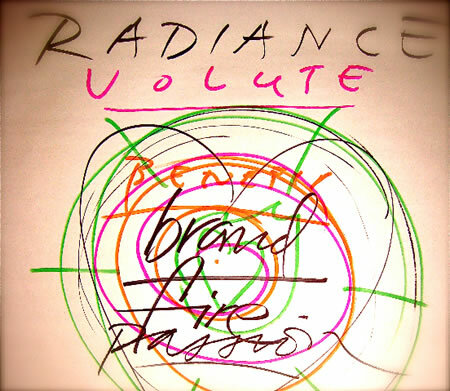 Rhythm and evolution — the spiraling volute: light. 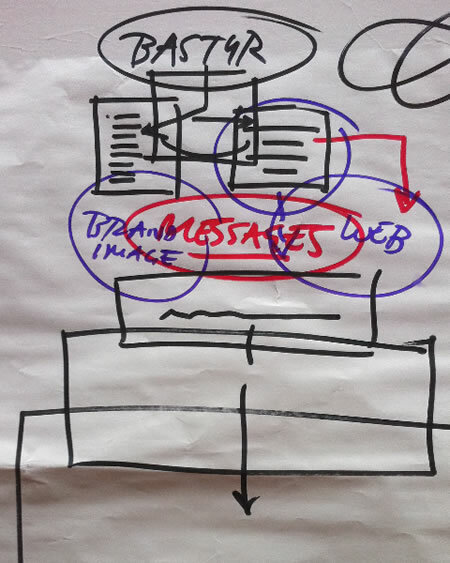 Engineering: messaging and visual import: the bricks of content and access. Root works: the tree, the trunk, the roots and the expansion of their grasp of content. Merging — love, passion, the intimate: finding connections. Sometimes, literally in the nature of the brand study, there is an issue with the conception of — literally, the brand is linked to love. A love brand, or it might be really about supporting love. 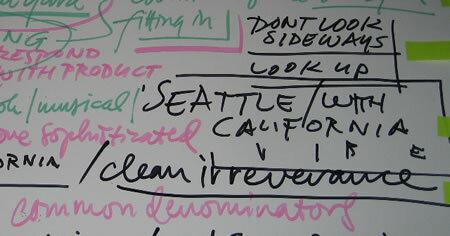 For example: health, or sensuality, or I was talking about love, charting ideas, exploring concepts at a client meeting; this was today — the notion of being connected, let’s say for now, spiritually, in a powerful and compelling way – that way of “in” being “in” — being connected to someone in a manner that is psychic, aligned, linked — synchronous, at the nexus. During that presentation — there was that attachment, the idea of enchantment, engagement, and enthrallment. Being — in the state of thrall, that idea of being fascinated in the witching sense — enchanted and enlivened in the passion — that could be, too: surrender — it’s the reflexive of giving, and giving back. So close, that the giving and the give back — they are the same, they are in. Love, intimate — love in, be in love, be enthralled — in that state of thrall, enchantment and trance, drawn to the fire. Drawn, that’s the heart — but in drawing, it’s the idea of finding the heart of the way in which a story might be told, a modeling for an organization might be considered, or bigger still, the idea of the mapping or the “lustration” of the archetype or symbolism of what’s being accomplished. What is the work, and what lies beneath? 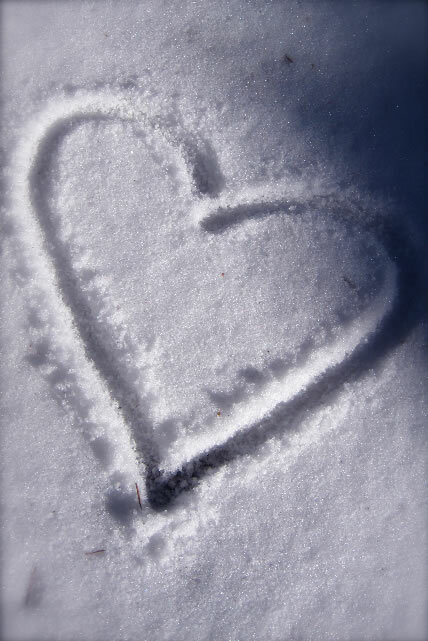 Surrender to love — be in(timate).